I have always wanted people to understand me. I think most of all I wanted to understand myself. I would get annoyed or mad if you couldn’t read my mind or understand what I was trying to say. I think I was most annoyed by this because I wanted you to explain to me what I wasn’t understanding myself. (I may have had some communication issues). It has taken me a long time to understand that the only way to understand myself is to take a look at the inside before anything else. I was constantly obsessed with the outside for many, many years and it wasn’t until recently that I learned that no matter how good the outside looks, it will never be good enough unless the inside matches. It certainly did not happen overnight, but there were some events in my life that served as a catalyst for me taking a good look at the inside in order to fix the wreckage that I had created around me. It is a process and there are certainly ups and downs, but the roller coaster starts to level off the longer I stay on. I have always loved fitness and nutrition and I think they fit perfectly into the theme of an inside job. I exercise to maintain and improve my physical fitness from within and I eat well in order to take care of my body from within. I want to be able to share with others my passions and hopefully help people find and accept the beautiful people that they are. Hence this blog. On a lighter note, here is my new basil plant I bought last weekend. 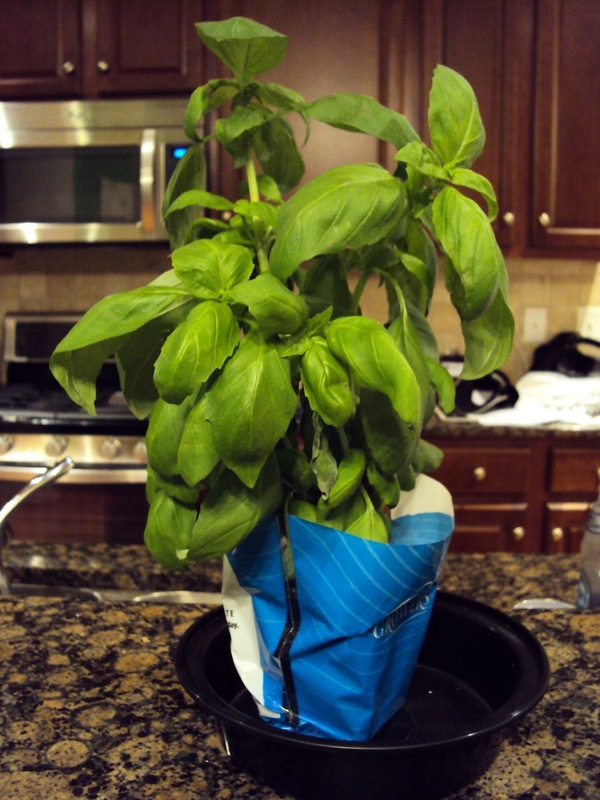 I LOVE basil. I’ve named him Basil (baz-il) and let’s hope that I don’t kill him (especially now that he has a name!). I’m looking forward to sharing the ups and downs with you.